A theme for exploring popular Christmas traditions with little ones. A picture game, stickers, word flashcards, coloring pages, a bingo game, an association game, and so much more! 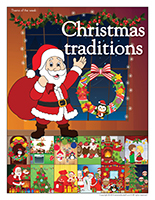 (Open thematic poster-Christmas traditions) Print, laminate, and display all kinds of posters. 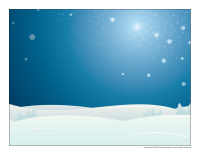 (Open educa-decorate-Christmas traditions) Print, cut out, and laminate. Use the items to decorate the walls of your daycare and set the mood for the theme. 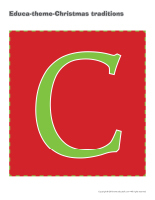 (Open educa-theme-Christmas traditions) Print and laminate the items that represent the theme. Use them to present the theme to your group (and parents) while decorating your daycare. 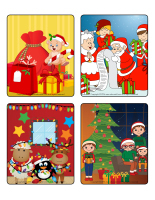 (Open stickers-Christmas traditions) Print the illustrations on adhesive paper. Cut them out and use the stickers to reward children. (Open picture game-Christmas traditions) Print and laminate the pictures in the format you prefer. Use them to spark a conversation with your group. Ask children questions to see what they know about Christmas traditions or to discover the traditions that are present within each family. 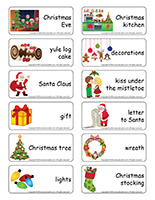 (Open word flashcards-Christmas traditions) (Open giant word flashcards-Christmas traditions) Print and laminate the word flashcards. 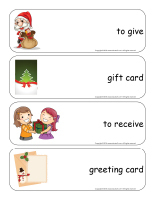 Invite each child to pick a word flashcard. They can take turns presenting their word (example: a wreath) to the group. Talk about each item as a group. Ask children questions to encourage them to speak. (Open picture game-Christmas traditions) Use the pictures to decorate your daycare or to spark a conversation with your group. Print, laminate, and store the pictures in a Ziploc bag or in your thematic bin. 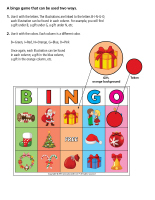 Print and laminate several Christmas-themed activity sheets and writing sheets available in the educatall club. Insert them in a binder along with dry-erase markers. Leave the binder out for children to explore. At the end of the day, simply wipe away their work so the same sheets can be completed over and over again. (Open word flashcards-Christmas traditions) (Open giant word flashcards-Christmas traditions) Print two copies of several word flashcards. Hang one copy of each flashcard on a clothesline using colourful clothespins. Arrange the other word flashcards in a pile. Let children take turns picking a word flashcard. Help them read their word before inviting them to find the corresponding word flashcard on the clothesline. When they find it, they can place the word flashcard they picked over the word flashcard on the clothesline using the same clothespin. Help younger children manipulate the clothespin if necessary. 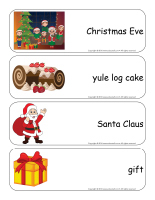 (Open word flashcards-Christmas traditions) (Open giant word flashcards-Christmas traditions) Print several word flashcards. Laminate them and glue a piece of Velcro behind each one. On a wall in your reading corner, hang a large piece of cardboard. Give each child a few flashcards. Make sure little ones are familiar with the words you give them. Children take turns sticking one of their flashcards on your cardboard and inventing a short story involving the word. Each child must continue the story of the child who preceded him/her. This activity may be repeated over and over again. Record children's stories. They will enjoy listening to them with headphones later in the day or week. For this theme, we have prepared many games and activities that can be used to introduce children to various traditions. 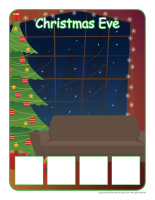 (Open scene-Christmas traditions-Christmas Eve) Print, laminate, and cut out the pieces. Children use the items to decorate the scene and represent Christmas Eve celebrations. (Open picture game-Christmas traditions) Print, laminate, and cut out the pictures. Arrange them in a box. Children take turns picking a card. Encourage them to share what they know about each tradition without naming it. The other children must try to identify the corresponding tradition. 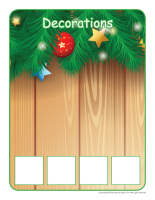 (Open association game-Christmas traditions) Print and laminate the game. Attach Velcro to the back of each card so children can associate them to the correct tradition. 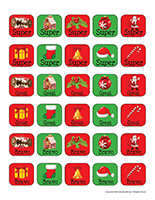 (Open bingo-Christmas traditions) Print, laminate, and store the cards in a small box or in a Ziploc bag. Play bingo with your group. Form a special Christmas choir with your group and visit various daycare groups to sing for them. If you prefer, you can sing Christmas carols as you walk along the streets of your neighbourhood. Provide musical instruments and paint the tip of each child's nose red. Don't forget to take pictures! Call upon the imagination of the children in your group. Ask them what they love most about Christmas and have fun pretending it's Christmas Eve. Provide wrapping paper and ribbon and encourage them to wrap your daycare toys. Set the wrapped toys under a Christmas tree. They will have just as much fun unwrapping the gifts. Variation for younger children: Let them explore a variety of materials: wrapping paper, bows, gift tags, etc. Let them tear and crumple the paper, toss the balls of paper into gift bags, stick gift tags and bows on their clothes and look at their reflection in a mirror, etc. Set several different gift bags filled with tiny surprises on the floor throughout your daycare. You can also hang gift bags from toys. Invite each child to pick a bag. 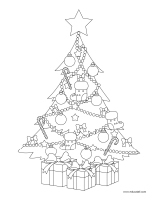 (Open coloring pages theme-Christmas traditions) Print. Give each child a coloring page. When they are satisfied with their coloring, cut the pictures into pieces to create puzzles. 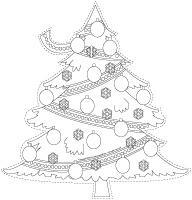 (Open coloring pages theme-Christmas traditions) Print. Give each child a coloring page. 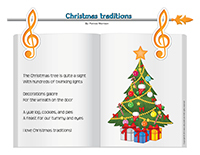 Play Christmas music and encourage children to follow the music's rhythm as they color. When they are done, let them display their work on a clothesline with red and green clothespins. 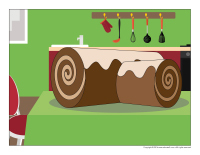 (Open scene-Christmas traditions-Yule log cake) Print, laminate, and cut out the pieces. Children use the items to decorate the scene and create a unique yule log cake. 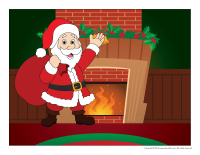 (Open scene-Christmas traditions-Santa Claus) Print, laminate, and cut out the pieces. Children use the items to decorate the Santa Claus scene. Children take turns playing the role of Santa Claus. The other children are elves. The elves hide Santa's hat while he is in another room. When they are ready, they can invite Santa Claus to come back. Once he has found his hat, another child becomes Santa Claus. Make sure each child has a turn to be Santa Claus. Variation for younger children: You can pretend to be an elf and hide several Santa Claus hats throughout your daycare. Each child must find a Santa Claus hat to wear. 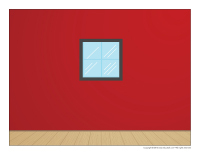 (Open model-Santa and elf footprints) Print and stick footprints on the floor of your daycare so that some are very close together and others are far apart. Invite children to walk very heavily on the Santa Claus footprints and very lightly on the elf footprints. Have children sit in a circle. Pick a child who will pretend to be Santa Claus. Have your Santa Claus sit in the centre of the circle, with his/her eyes closed. Children pass a gift around the circle to the sound of music. When the music stops, children all place their hands behind their back and Santa Claus must guess who is hiding the gift. 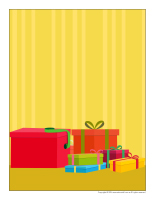 (Open scene-Christmas traditions-Gifts) Print, laminate, and cut out the pieces. Children use the items to create a gift-filled scene. Fill a box with Christmas stickers or tiny treats. Wrap the box in several layers of Christmas wrapping paper. Sit in a circle with your group. To the sound of music, children pass the gift around the circle. When the music stops, the child holding the gift begins unwrapping it. When the music starts again, the gift continues to travel around the circle. The game continues until the gift is completely unwrapped. Distribute the stickers or treats. Purchase approximately ten bags of inexpensive bows at the dollar store. Have children sit around your parachute, holding the edge. Empty the bows onto your parachute. They will have fun bouncing the parachute to send the bows flying into the air. They will want to repeat over and over. Wrap a gift, making sure to use several layers of adhesive tape. Sit in a circle with your group. Deposit mittens and a toque in the centre of the circle. Children take turns rolling a die. The goal is to roll a "1". Every time a child rolls a "1", he/she must put the mittens and toque on and begin unwrapping the gift. During this time, the other children continue to roll the die. As soon as another child rolls a "1", the child must hand him/her the mittens and toque and so on. The game continues until the gift is completely unwrapped. Variation for younger children: Wrap the gift with one or two layers of wrapping paper and use very little adhesive tape. Have children wear mittens and work together to unwrap the gift. We have prepared illustrations that can be used to make you own giant die (Open giant die). Simply glue them on the sides of a cardboard box after laminating them. 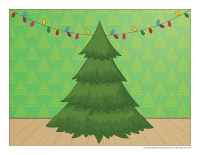 (Open scene-Christmas traditions-Christmas tree) Print, laminate, and cut out the pieces. Children use the items to represent a decorated Christmas tree. (Open Models-Christmas tree) Print and cut out the models. Stick them on the floor of your daycare with adhesive paper. Children walk around the daycare. Every time the music stops, they must quickly find a Christmas tree to stand on. (Open game-Christmas tree star) Print, laminate, and cut out. Stick the Christmas tree on a wall. Give each child a laminated star. Children take turns attempting to place the star at the top of the tree while blindfolded. (Open felt Christmas tree) Trace a large Christmas tree shape on green felt. Trace the decoration models onto colourful felt and cut them out. Children will love decorating the Christmas tree a different way each day. Variation: If you prefer, trace the Christmas tree shape on heavy cardboard and stick Velcro pieces behind the decorations and on the tree. 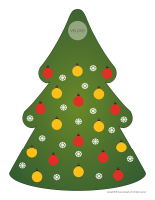 (Open Christmas tree decorations) Print, laminate, and cut out the decorations. Create an obstacle course and deposit decorations here and there along the course. To the sound of music, invite children to complete the course. Tell them they must find a decoration along the way. At the end of the course, they can add the decoration they found to your Christmas tree (a real one or a drawing). 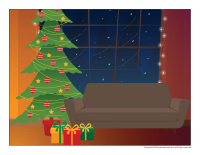 (Open scene-Christmas traditions-Christmas lights) Print, laminate, and cut out the pieces. Children use the items to represent a very well-lit Christmas scene. Hang tiny Christmas lights throughout your daycare. Use rope and clothespins to hang the lights up near the ceiling, away from little hands. 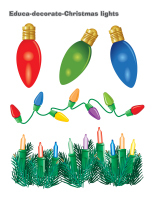 (Open educa-decorate-Christmas lights) Print, laminate, and cut out. Use the items to decorate the walls of your daycare. (Open Models-Christmas lights) Print. Let children decorate the lights with glitter, paint, and other arts & crafts materials. Cut out the lights and assemble them to form a garland that can be hung near your daycare entrance or within your daycare. 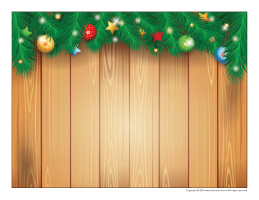 (Open scene-Christmas traditions-Christmas kitchen) Print, laminate, and cut out the pieces. 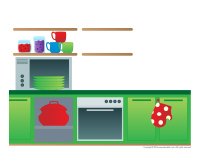 Children use the items to represent a decorated Christmas kitchen. 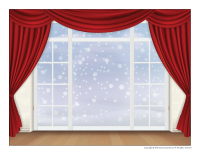 (Open scene-Christmas traditions-Christmas decorations) Print, laminate, and cut out the pieces. Children use the items to decorate a Christmas scene. 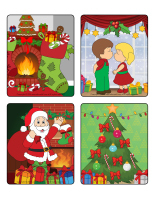 (Open scene-Christmas traditions-Kiss under the mistletoe) Print, laminate, and cut out the pieces. Children use the items to represent a mistletoe scene. 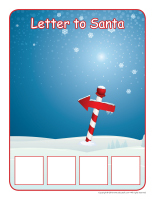 (Open scene-Christmas traditions-Letter to Santa) Print, laminate, and cut out the pieces. Children use the items to represent writing to Santa Claus. Don't forget to write a return address if you want children to receive a response in the mail. 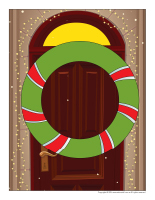 (Open scene-Christmas traditions-Wreath) Print, laminate, and cut out the pieces. Children use the items to decorate a wreath. (Open models-Wreath) Print. Let children decorate the wreaths with glitter, paint, and other arts & crafts materials. Cut out the wreaths and assemble them to create a garland that can be hung in your daycare entrance or within your daycare. Prepare a large sausage-like shape or braid with salt dough. Form a circle that will become a wreath. Let it dry and paint it. You may use salt dough to create other types of decorations too. Use a green Christmas tree garland to create a wreath shape that can be hung on your daycare door. Use tiny pieces of double-sided tape (or hot glue) to stick candy pieces and candy canes all over the wreath. Cut out the centre of a paper plate and keep only the contour to represent a wreath. Decorate the wreath by adding a bow and a string that can be used to hang it. 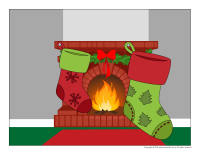 (Open scene-Christmas traditions-Christmas stocking) Print, laminate, and cut out the pieces. Children use the items to decorate the scene. (Open models-Christmas stockings) Print. Let children decorate the stockings with glitter, paint, and other arts & crafts materials. Cut out the stockings and assemble them to create a garland that can be hung near your daycare entrance or within your daycare. Trace and cut out different sizes of Christmas stockings (Open models-Christmas stockings) Decorate the models with glitter, lace, ribbon, cotton balls, confetti, etc. Glue the stockings on either side of long pieces of ribbon or string. Hang your mobile from the ceiling. Cut two Christmas stocking shapes out of felt for each child using the model provided (Open Lacing-Christmas stocking). Children can thread ribbon or yarn through the holes around the contour of the stockings placed one on top of the other. Provide treats they can insert in their stocking. They will be proud to give their stocking to their parents as a gift.